Rockhounding is a term for collecting and studying rock and mineral specimens found in their natural environment. It's a fun and simple way to get your kids outside and moving and it's an excellent way to teach them about local geology. It's a hobby my dad shared with my siblings and I when we were kids and now I love doing it with my own kids. In this post I will share how to put together your own rockhounding kit and some tips for getting started. -A box of some type for storing specimens in. An old shoe box or cigar type box will work great. -A spray bottle and a toothbrush for cleaning specimens. -An old colander for sifting through sand and dirt. In this post I share instructions for a really neat activity my kids and I tried recently, painting with frozen chalk paint! Frozen chalk painting is a fun way to stay cool on a hot afternoon. It can be both a cool sensory play activity for toddlers and a fun art activity for older kids. Mix about 2 tablespoons of cornstarch and about 3 tablespoons of water in each bowl. You want it to be liquid so it can be poured but still sort of thick. Add about 10 drops of food coloring to each bowl (do a different color in each bowl). Then just pour into an ice cube tray and freeze until they are frozen solid. Now your frozen chalk paint is done and ready to use. Find a warm sunny part of the driveway or some warm rocks to paint on. Try drawing with the cubes or just set them down and watch them melt and swirl together. Rainbows are always a fun topic to learn about. It's a great topic for introducing primary and secondary colors to preschool and kindergarten aged students. It can also be a fascinating topic for older students who are ready to study white light and other types of electromagnetic radiation. In this post I will share several rainbow science activities that are fun and educational for any age. Rainbows form when white light from the sun is refracted and dispersed by water droplets in the air. The water droplets slow and bend the light, separating it into it's separate colors. Rainbows have seven colors: red, orange, yellow, green, blue, indigo, and violet. Get out some paper and paints and have your child paint a rainbow with the colors in the correct order. When it's dry, use a black marker to label each color. Earlier this year we spent some time studying the ancient civilizations of South and Central America. One of the things we learned about was the domestication of the corn plant and the important role it played in allowing people to settle down. In this post I will share instructions for a fun corn plant watercolor resist craft we did. This craft went great with our ancient civilizations unit but would also be great to do while studying plant science. First have your child draw and color a corn plant, roots and all with the crayons. Or print out a coloring sheet of a corn plant to color with crayons. 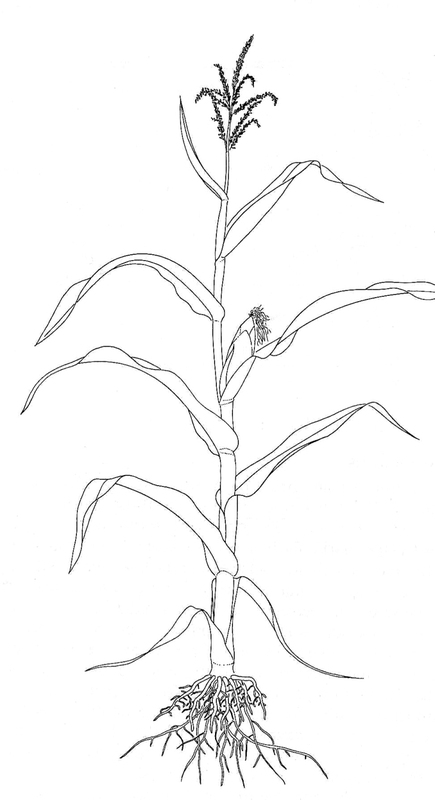 Here's a free corn plant printable from getdrawings.com. A lot of people seem very surprised and even uncomfortable when I tell them my children do not have a set bedtime, but it works great for us. Believe it or not, my kids are not bouncing off the walls until midnight every night, in fact they usually are in bed asleep before 9pm. Children, like adults are capable of knowing when they are tired. In this post I will share a few of the reasons we skip the whole "bedtime fiasco" in our house. Circadian rhythms are our body's internal clocks. It's what controls our sleep/wake cycles and it is heavily influenced by the sun. Our bodies naturally get sleepy when the sun goes down and naturally feel energized when the sun comes up. Forcing children to go to bed before they're internal clock says it's time, can throw off their natural circadian rhythms, which can cause sleeplessness at night and tiredness during the daytime. We all want to feed our families right but clean eating can be confusing and overwhelming sometimes, especially if your newer to healthy eating. In this post I will share 7 simple swaps you can make for cleaner eating. Healthy eggs come from healthy hens, meaning you want eggs from hens who spent plenty of time outside forging for insects and other food, as chickens are supposed to. Swap out what ever eggs your using for either pasture raised store bought eggs or fresh farm eggs from a local source you know gives their hens plenty of outdoor time. Many commercially farmed eggs come from hens who spend their lives crammed in barns with hundreds of other hens. Some never get to see the light of day. My kids absolutely love messy play activities and summer time is the perfect time to do them since we can be outdoors. 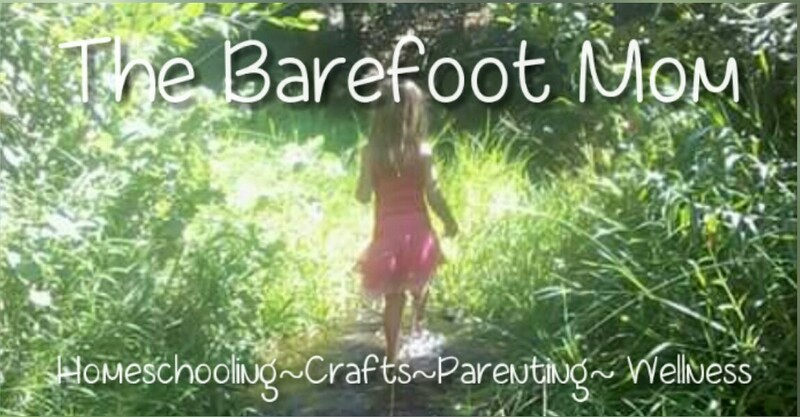 In this post I will share 4 fun messy play activities to enjoy in the backyard this summer. Start by adding 10-15 drops of food coloring to a cup and add 1/2 cup of water. Use this colored water to fill your squirt gun. Tape a white piece of paper to a tree or fence with the duct tape. Or try just lying the paper on the ground. Make pretty designs on the paper by squirting the squirt gun at it. Make a new color and add to your art work. -An old white sheet or table cloth you don't mind staining up. Add about 15-20 drops of food coloring to a water balloon, then fill it with water and tie. Make about 20 water balloons like this with various colors of food coloring. Fishing is one of my family's favorite activities. We go several times a week when the weather is decent. We don't always catch anything but we always have fun. That's one of the best things about fishing, it's not all about catching fish, and it's always an adventure. In this post I will share 4 reasons to take your kids fishing. Fishing is a great activity for the whole family. Both my girls have been fishing since they were toddlers. It's been a really great way for us to spend more time together as a family. Time goes by fast and our kids will only be little once, enjoy it! Fishing is an awesome skill to have. It's a way to provide food for your family that is totally self sufficient. It's also a great way to teach your kids to tie some basic knots and how to handle knives safely. Often times so much emphasis is put on academic learning that many important life skills go over looked and untaught. This isn't to say academic learning isn't important, it is, but so are basic life skills. I can't tell you how many adults I know who have absolutely no ability to cook for themselves. While this might not seem like a big deal to some, eating take out is pricey and often doesn't offer many healthy choices. As parents, we really should be making sure our children leave home with the skills necessary to take care of themselves. In this post I will share 30 important life skills parents should pass on to their children before they leave home. 5. How to plunge a toilet- Not glamorous, but an important skill to have.